There are many solutions and methods to improve or repair your homes or buildings foundations issues. Whether it’s repairing an existing foundation or replacing it, there are different options. This process all begins with deciphering the exact problem occurring in your home or building. You must start by making any visual observations of differences you may notice in your home or building. These observations could be an indicator of what kind of problem your foundation is experiencing. These observations can be things like, cracked flooring inside the home or building, cracked concrete outside or on the perimeter of the home or building, uneven or sloping floors inside the home or building and problems shutting windows or doors. Once checked out by an inspector, they can definitively tell you what is going on with your homes foundation. Foundation issues are fixed by several methods. These different methods are recommended based off of the type of existing foundation, the extent of damage, soil status and weather/climate conditions in the specific region your home or building is located. The most common and popular foundation repair solutions are Helical Piers, Slab Repair, and Pier and Post systems. Helical Piers and Pier and Post systems are better suited for different types of foundations. If your foundation slab is sinking or settling into the soil, Helical Piers are your best bet. Helical Piers work simply by drilling these piers into a stable layer of soil underneath the Foundation in turn holding up the foundation perimeter or otherwise offering continuous support because the piers are solid and anchored to bedrock. Pier and Post foundations are better suited for existing raised foundations. Piers are also driven into the soil similar to Helical Pier installation; however these posts are then connected to each other by another horizontal post, creating an even more secure foundation with superb stability. These foundations are easily installed and often offer a more appealing cosmetic look, as the posts are underneath the house framing inside the crawl space. And if your homes foundation damage is severe and unsafe, complete foundation replacement can also be done. 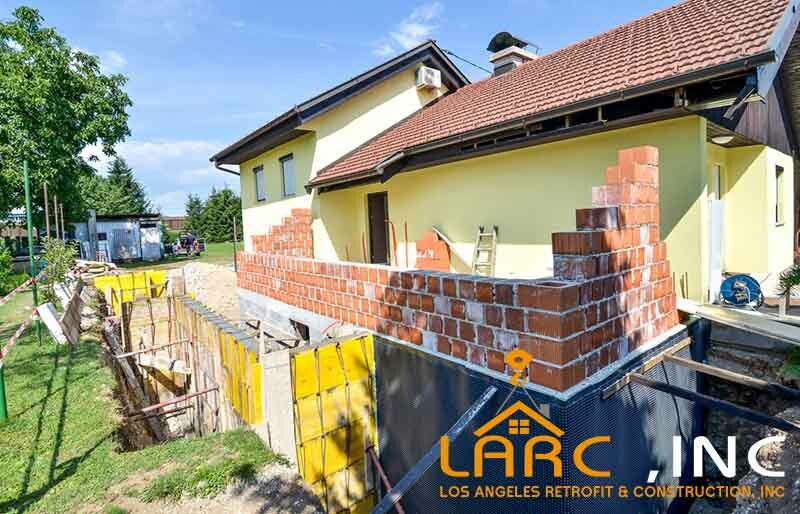 For example if your home and foundation were extremely damaged in an earthquake and beyond repair, a new concrete slab foundation can be poured. Or if preferred or your home is in a contrasting climate, a Pier and Post foundation system can be applied as well.